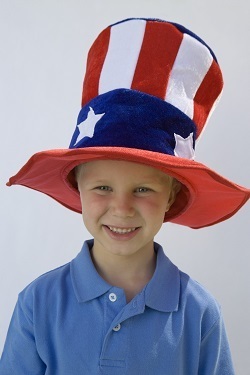 Cool off in the heat of the summer with a standout 4th of July party that will bring out the inner patriot in everyone. Independence Day is a wonderful time to remind ourselves of the freedoms we enjoy and the men and women who have served our great nation. It’s also a great time to celebrate the joys of summer around the barbecue, on the beach or at the pool. A 4th of July party is a recipe for warm-weather fun and to celebrate what it means to be an American. These parties are wonderful because they can start during the day and go on into the late evening with different kinds of food and drink for each part of the day. Inspiration can be found from sparklers in cake to fireworks, and you’ll have your guests singing the praises of the red, white and blue. All posts in "4th of July Party"